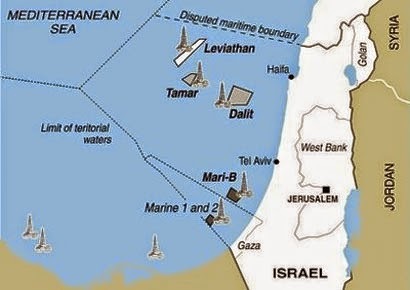 The Palestinian National Authority (PNA) plans to develop a natural gas field off the Gaza Strip coast at a cost of 1 billion US dollars, a PNA minister said on Monday. Mohamed Mustafa, minister of economy, said in an emailed press statement that British Gas Co. and the Palestinian unity government will work together on developing the gas field. 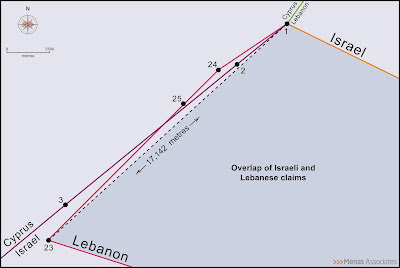 A large field of natural gas was discovered in early 2000 off the coast of the Gaza Strip by British Gas. 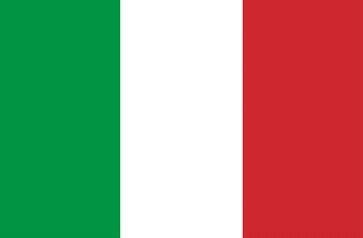 A deal was signed between the company and the PNA to produce gas and help the PNA improve its finances. Mustafa, also deputy prime minister of the Palestinian unity government, stated that the project needs international political guarantees to make Israel committed to the agreement. The gas field aims to generate power and serve industry to create new financial resources, said Mustafa. Since its establishment in 1994, the PNA has been financially depending on international donations and the tax revenue dues Israel collects on its behalf and pays them back to its budget. However, the PNA has been going through a crucial financial crisis after Israel withheld the tax revenue dues to punish the Palestinians after they decided to join 20 international treaties and agencies, including the Rome Statute of the International Criminal Court. Mustafa said annual cost for energy import had reached 2 billion dollars and that "such a huge budget exhausts the Palestinian economy and that generating energy would save lots of money." 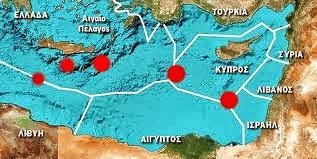 Cyprus warned Turkey Friday that if it re-entered the exclusive economic zone where Nicosia has licensed exploratory drilling there would be no chance of resuming stalled UN-brokered peace talks. Government spokesman Nicos Christodoulides said any such a move would be a "worrying development" and would only "validate the reason for not returning to the talks". 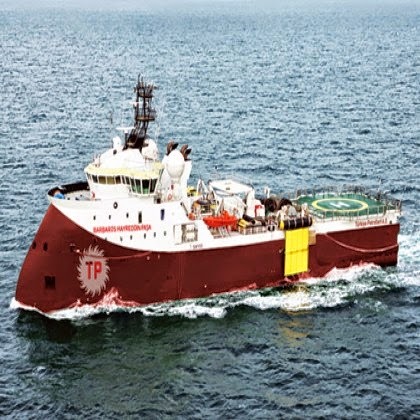 Last October, a Turkish ship encroached on Cyprus's EEZ off its south coast, after Ankara had given notice that a Turkish seismic vessel would carry out a survey in the same area where Italian-Korean energy consortium ENI-Kogas is operating. In response, Cyprus suspended its participation in UN-led peace talks launched in February. Warning against another incident, Christodoulides told the Cyprus News Agency on Friday: "While knowing such an action would not allow for talks to resume, it will unfortunately send the international community a negative message regarding the possibility of a resumption of talks." Turkish Cypriot media reports say that Turkey is ready to issue a new maritime notice for its survey ship Barbaros from January 5. 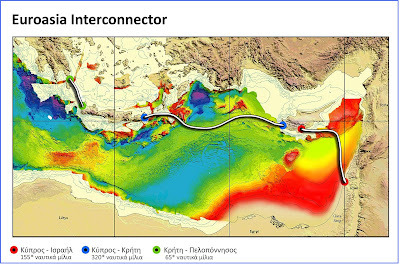 Nicosia is unhappy that Ankara is determined to search for oil and gas in the same region where it has already licensed exploratory drillings. Turkey opposes the government's exploitation of offshore energy reserves before a deal is reached to solve the decades-long division of the east Mediterranean island. Turkish troops invaded and occupied the northern third of Cyprus in 1974 in response to an Athens-engineered coup aimed at uniting it with Greece. 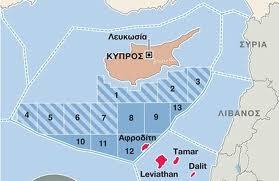 ENI-Kogas began drilling off Cyprus for possible gas in September in a second block to undergo exploratory tests. 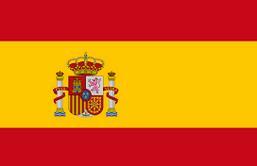 It found no evidence of gas reserves in its first test drill and is preparing to try again over the next three months. In 2011, US firm Noble Energy made the first find in the Aphrodite field, which is estimated to contain 102 billion to 170 billion cubic metres (3.6 trillion to six trillion cubic feet) of gas. Οι ενέργειες δε της Τουρκίας, καταφανώς παράνομες από πλευράς Διεθνούς Δικαίου και αντίθετες με τις αποφάσεις του Συμβουλίου Ασφαλείας του ΟΗΕ, συνεχίζουν να προσβάλλουν την Διεθνή Κοινότητα, προσπαθώντας να νομιμοποιήσουν την παράνομη στρατιωτική εισβολή και τη συνεχιζόμενη κατοχή μεγάλου τμήματος της Κυπριακής Δημοκρατίας. Η χρονική στιγμή, μάλιστα, της εκδήλωσης των ενεργειών αυτών, σε μία περίοδο, δηλαδή, έντονης κινητικότητας και διαπραγματεύσεων για την επίλυση του Κυπριακού, προκαλεί εύλογα ερωτήματα, αναφορικά με τις πραγματικές προθέσεις της Τουρκίας». A united system of naval bases for ships and next-generation submarines will be created in the Arctic to defend Russia’s interests in the region, President Vladimir Putin said. He urged the government to provide full state funding for the socio-economic development of the Russian Arctic through 2017-20. Putin said that a separate state agency should be created to implement Russian policy in the Arctic and to improve the quality of governance and decision-making in this area. “We do not need a bulky bureaucratic body, but a flexible operational structure, which will help better coordinate the activities of ministries and departments, regions and businesses,” he said. “At the same time, we should strengthen the military infrastructure. Specifically, I’m referring to the creation of a united system of naval bases for ships and next-generation submarines in our part of the Arctic,” he added. Putin emphasized that even the smallest aspects of the integrated security system in the Russian Arctic needed attention. “All security issues should be thoroughly worked out during multiagency exercises and training sessions, in which the units of the Defense Ministry, Emergencies Ministry and other structures should take part on a regular basis,” Putin said. “Russian oil and gas production facilities, loading terminals and pipelines in the Arctic must be protected from terrorists and other potential threats,” he added. "It makes sense to create a body similar in status to the state commission with broad authority, as it was previously done for the Russian Far East," the president said, adding that he would await specific proposals from the government. Putin said that Russia is already successful in this field, as the country managed to come up with a strong argument to prove its indisputable right to a piece of land in the Sea of Okhotsk. During the 33rd session of the UN Commission on the Limits of the Continental Shelf in March, Russia staked a claim for the area of “52,000 square kilometers in Sea of Okhotsk, which is a continuation of Russia’s continental shelf,” he said. The problem of establishing the international legal border of the Russian continental shelf in the Arctic Ocean requires urgent and careful attention, the president said. Putin said that the construction of new nuclear and diesel icebreakers should be accelerated to develop an effective economic model for the Northern Sea Route. 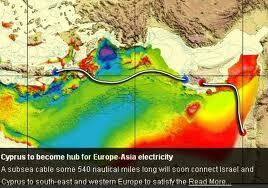 “The turnover of the Northern Sea Route must be at 4 million tons by 2015,” he said. The president urged the speedy completion of modern navigation infrastructure, communications, technical services and emergency care to be established along the Northern Sea Route – from Russia’s Far East to Murmansk on the Barents Sea. “We need to make sure that it would be profitable and convenient for shipping companies to operate under the Russian flag, so that the majority of transport in the Arctic would be carried out by vessels under our jurisdiction,” he stressed. The Russian Natural Resources Ministry is planning to submit a claim to the UN this autumn to extend the country's Arctic shelf, Ecology Minister Sergei Donskoi said Friday. "Our experts have been gathering evidence for the past decade. The fact that the Sea of Okhotsk was recognized as a Russian inland sea in March was a very significant breakthrough," the minister said. "The success of the Sea of Okhotsk bid is an important precedent that will factor in the decision on Russia's next claim to extend its continental Arctic shelf," he explained. 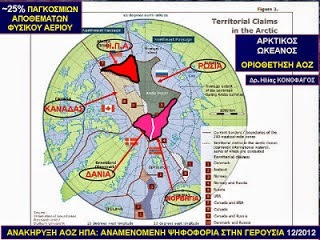 Moscow filed its claim to a part of the Artic continental shelf including the Lomonosov and Mendeleev Ridges in 2011, but the UN Commission on the Limits of the Continental Shelf said that it needed further scientific backing. Die Annexion der Krim durch Russland könnte direkte Auswirkungen auf die russischen Pipeline-Projekte in der Schwarzmeerregion haben. Russland versorgt Europa heute größtenteils über Gasleitungen, die durch die Ukraine laufen. Unsere Grafik zeigt: Alternative Pipeline-Projekte könnten jetzt über die Krim laufen. Russland schmiedet schon seit langem Pläne, Gas über andere Wege als die Ukraine nach Europa zu liefern. Eingeweiht wurde bereits im November 2011 die Nord Stream Pipeline in der Ostsee. Über diese Trasse kommt russisches Gas von der Jamal-Halbinsel und vom Gasfeld Schtokman in der Barentssee durch die Ostsee nach Europa, genauer gesagt nach Lubmin bei Greifswald. Hinter dem Ostsee-Pipeline-Projekt steht ein Konsortium. 51 Prozent der Anteile hält der russische Gasmonopolist Gazprom, jeweils 15,5 Prozent werden von E.ON-Ruhrgas und der BASF-Tochter Wintershall gehalten. Mit neun Prozent beteiligt sind die niederländische Gasunie und das französische Unternehmen GDF SUEZ. 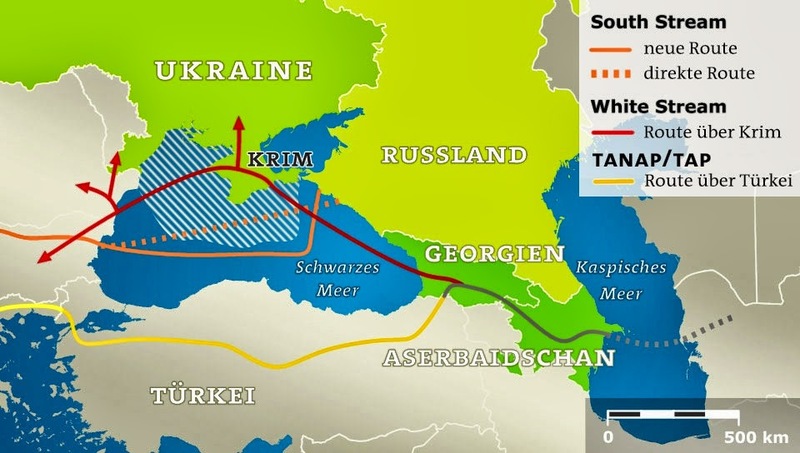 Hinzu kommt das Projekt South Stream im Schwarzen Meer. Dahinter stehen Gazprom (mit einem Anteil von 50 Prozent der größte Anteilseigner), der italienische Energie-Konzern ENI (20 Prozent) sowie EDF aus Frankreich und die deutsche BASF-Tochterfirma Wintershall (je 15 Prozent). Die Karte zeigt, dass diese Leitung ursprünglich direkt von Dschubga in Russland nach Varna in Bulgarien verlaufen sollte. Dieser Weg führt durch die "ausschließliche Wirtschaftszone" (schraffierte Fläche) der Ukraine, die jedem Staat im 200-Meilen-Sektor vor seiner Küste zusteht. Der direkte Leitungsweg (durchbrochene orange Linie) hätte bedeutet, dass die Ukraine wieder Mitspracherecht und Anspruch auf Durchleitungsgebühren gehabt hätte. Russland hat deshalb 2011 einen Vertrag mit der Türkei geschlossen. Die bis heute geplante, neue Trasse läuft durch die türkische Wirtschaftszone (orange Linie). 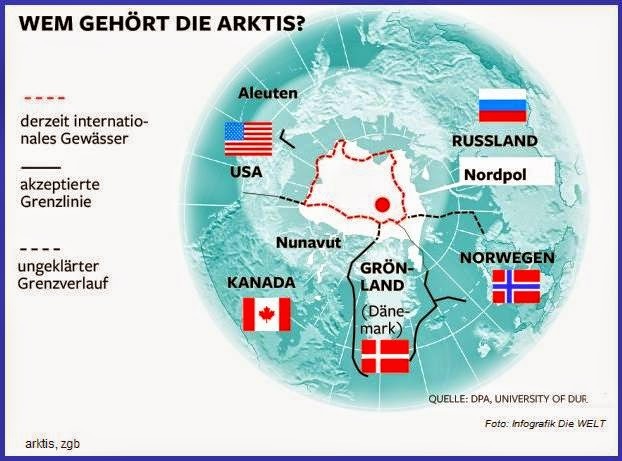 Wenn die Krim zu Russland gehört, erweitert sich die russische Wirtschaftszone an der Küste. Der Ukraine bliebe nur noch ein kleiner Bereich. Im Prinzip wäre es dann möglich, dass die South-Stream-Pipeline so zu führen, wie es der entmachtete ukrainische Präsident, Viktor Janukowitsch, ursprünglich geplant hatte: über die Krim. Η Gazprom προχωρά κανονικά τον South Stream? MOSCOW, March 18 (RIA Novosti) – Russian energy giant Gazprom is seeking access to oil and gas deposits in the territorial waters of Crimea, which became Russian territory on Tuesday. “Gazprom was the first to file its request,” Rustam Temirgaliyev, the region’s first deputy prime minister, said in an interview with RIA Novosti. 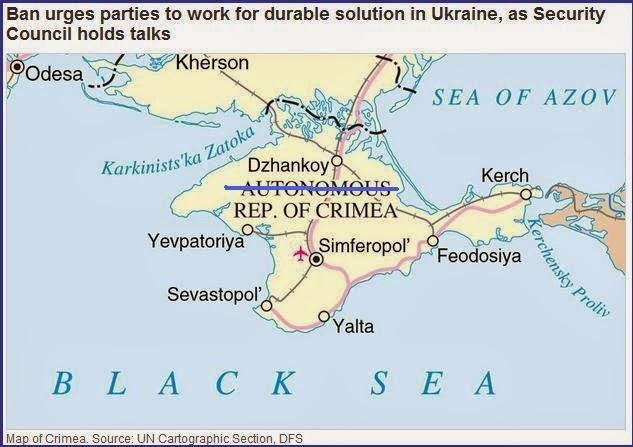 The Crimean parliament, which refused to recognize the new Ukrainian government and held a popular vote on secession and reunification with Russia on Sunday, ruled on Monday that all Ukrainian state property in the region is to become the property of Crimea. 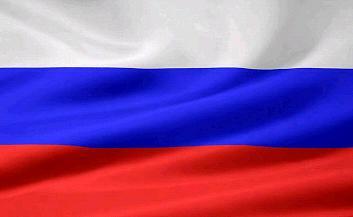 Crimean leaders signed a reunification treaty with Russia on Tuesday. 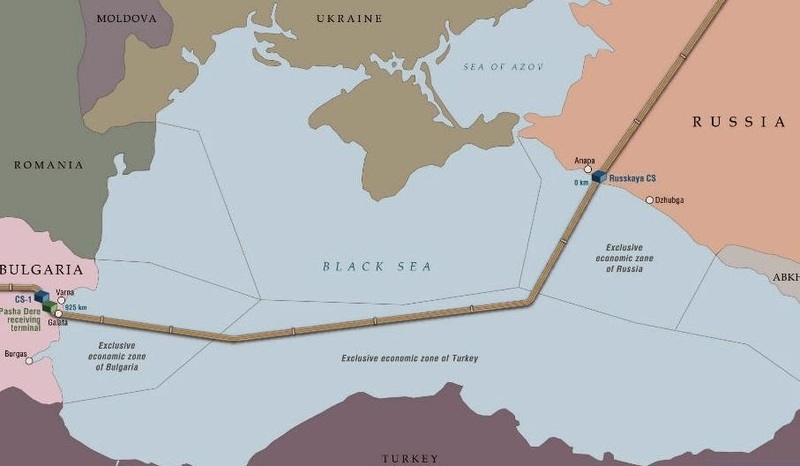 According to Temirgaliyev, about 1.5 billion cubic meters of gas are extracted annually in Crimea, which has one of the biggest Black Sea shelf deposits of oil and gas. TOKYO, March 19. /ITAR-TASS/. Russia’s oil company Rosneft will defend its assets in the Ukrainian territory, Rosneft CEO Igor Sechin said at a plenary meeting of the sixth Russian-Japanese Investment Forum that opened in Tokyo on Wednesday. Sechin expressed the view that “businessmen should try to take advantage in every situation.” “The Rosneft stock value decreased as a result of the markets’ volatility,” he said. “We bought the company shares at once and hope that it’s a very good investment - we invite our Japanese partners to do the same.” Continuing the Ukrainian topic, Sechin stressed that his company “is looking at the situation rather calmly, as it cannot last long." Syria’s government said Wednesday it had signed an oil and gas deal with a Russian company, prompting claims from the Syrian opposition that Damascus is “swapping the country’s riches for Russian weapons”. 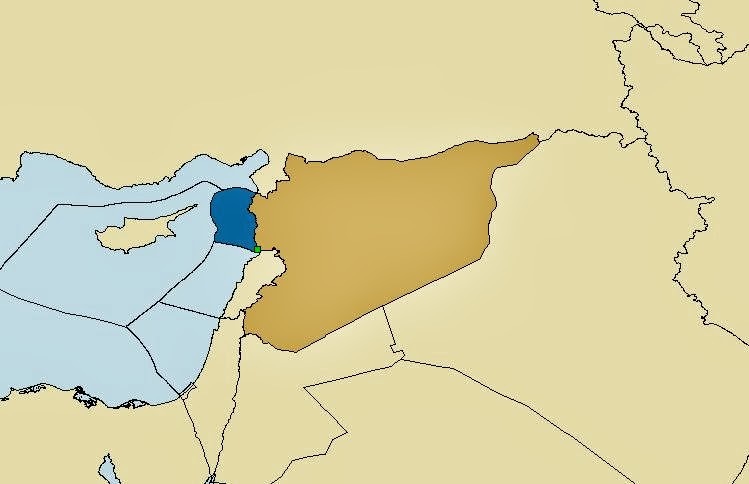 The agreement was signed by Syrian Oil Minister Suleiman Abbas and the Russian Soyuzneftegaz company, allows for the first-ever exploration off the war-ravaged country’s Mediterranean coast. The exploration will cover an area of 2,190 square kilometres (850 square miles) off the Mediterranean port city of Tartous, where Russia also has a military base. Damascus said the exploration would be financed by Russia to the tune of $100 million over the next 25 years. The deal is a boost for the Syrian government, which has lost control over roughly half of the country’s territory, including most of its oil fields. Through war and sanctions, Syria's oil production has plummeted by 90 percent since the start of the uprising against President Bashar al-Assad in March 2011. 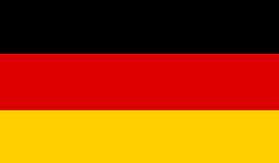 “Soyuzneftegaz will start working soon after the contract is signed. The company will not follow the unfair economic sanctions imposed on oil fields especially, as well as on all economic sectors in Syria,” Syria’s Oil Minister Suleiman Abbas told reporters. 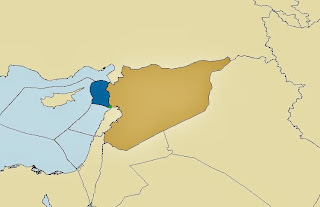 The agreement between Moscow and Damascus was swiftly denounced by Syria’s main opposition group, the Syrian National Coalition (SNC). In a statement published on Thursday, the CNS slammed a deal “which aims to swap the riches of our homeland for Russian weapons destined to kill the Syrian people”. Despite the escalating violence in Syria, Moscow has continued to supply weapons to its Syrian ally and repeatedly thwarted attempts to take action against the Assad regime at the UN Security Council. BEIRUT, Dec. 21 (Xinhua) -- Lebanon's caretaker Foreign Minister Adnan Mansour warned Saturday that Israel's unilateral decision to demarcate the maritime border (EEZ)with Lebanon would threaten stability in the region. Mansour said in a statement "this is a very dangerous decision if adopted by Israel, and it threatens stability, security and peace in the region. He said that this action by Israel does not produce any legal obligations for Lebanon. 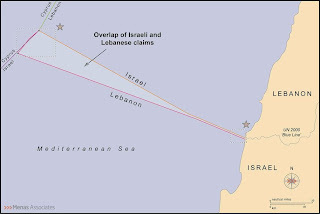 He explained "Israel's step does not produce any legal obligations for Lebanon as if it never happened," considering it a violation of international law and the United Nations Convention on the Law of the Sea. He said "article 74 of the corresponding law stipulates that the accord on demarcation of adjacent and facing economic zones (EEZ) is based on International Law, just as article 38 of the Statute of the International Court of Justice says." The caretaker minister urged Lebanese factions to fill the vacuum in the state's institutions in order for Lebanon to assume its national responsibility and face "Israel's new violation" with all legal means. He added "Israel is held fully responsible for all consequences that such a step might produce." 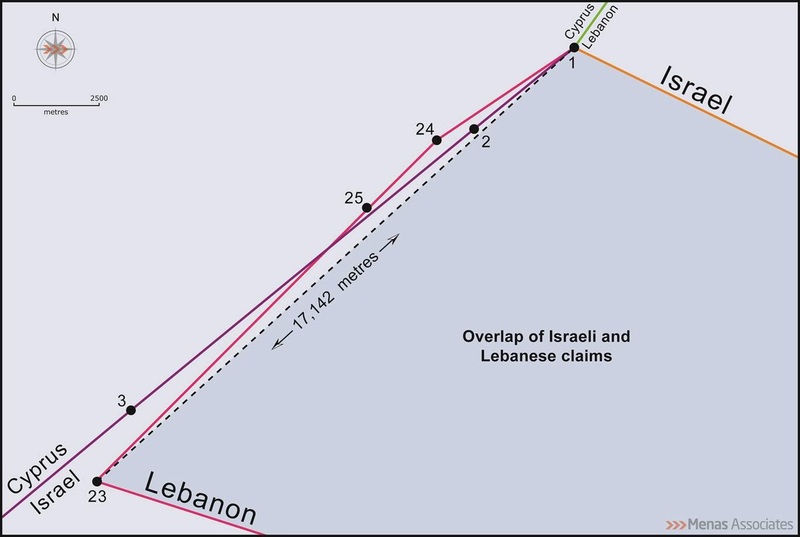 Israel said it is seeking to demarcate the maritime border (EEZ) in the area disputed with Lebanon through a draft law that will be proposed at the Knesset. Το Αιγυπτιακό Αγκάθι για την ΑΟΖ. Σε δύσκολο πάζλ που απαιτεί τουλάχιστον την σαφή πολιτική βούληση για συνεννόηση εκ μέρους του Καϊρου ,εξελίσσεται η προσπάθεια που ξεκίνησε και πάλι με πρωτοβουλία της ελληνικής κυβέρνησης, προκειμένου να υπάρξει συμφωνία για οριοθέτηση των θαλασσίων ζωνών μεταξύ των δυο χωρών. Σημαντικό και κρίσιμο πρόβλημα είναι η «τεχνική» όπως ισχυρίστηκαν οι Αιγύπτιοι, υπερκάλυψη τμήματος της ελληνικής υφαλοκρηπίδας από το «Οικόπεδο 12» που έχει χαράξει η Αίγυπτος στο βορειοδυτικό τμήμα της ΑΟΖ (EEZ) της, ένα «τεχνικό σφάλμα» που μέχρι στιγμής όμως αρνείται να επανορθώσει, προκαλώντας έτσι ερωτηματικά για τις πραγματικές προθέσεις της. Η επιδίωξη συμφωνίας με την Αίγυπτο αποτελεί το κομβικό και καθοριστικό βήμα για την χώρα μας στην προσπάθεια να ενισχύσει πολιτικά και διπλωματικά την διαπραγματευτική θέση της όταν και εφόσον υπάρξει αντίστοιχη διαπραγμάτευση με την Τουρκία. Μια ελληνοαιγυπτιακή συμφωνία οριοθέτησης θαλασσίων ζωνών θα καταστήσει ακόμη πιο καθαρό το τοπίο στην Ανατολική Μεσόγειο και θα παραδώσει μεγάλες θαλάσσιες περιοχές στην έρευνα και κατόπιν στην αξιοποίηση των ενεργειακών πόρων που σύμφωνα με πολλές ενδείξεις υπάρχουν στον βυθό. Οι συνομιλίες της Ελλάδας με την Αίγυπτο για την οριοθέτηση των θαλασσίων ζωνών είχαν διακοπεί ακόμη επί της προεδρίας Μουμπαρακ μετα από παρεμβάσεις της Τουρκίας και του ιδίου του προέδρου της χώρας Αμντουλλάχ Γκιουλ προς το Κάιρο. Το μεγάλο αγκάθι σε αυτή την διαδικασία είναι το Καστελόριζο καθώς ο υπολογισμός της επήρειας του ακριτικού νησιού σε συνδυασμό με το «τόξο» που σχηματίζουν οι θαλάσσιες ζώνες της Ρόδου, της Καρπάθου και της Κρήτης πρακτικά αποδίδουν στην Ελλάδα ένα σημαντικό σε έκταση και αξία τμήμα της ΑΟΖ της Ανατολικής Μεσογείου. Μια περιοχή η οποία προσφέρει στην Ελληνική ΑΟΖ γειτνίαση μεεκείνη της Κύπρου και της Αιγύπτου περιορίζοντας αντίστοιχα σημαντικά την τουρκική ΑΟΖ στην περιοχή. Η Αίγυπτος πραγματοποιώντας στην διάρκεια των τελευταίων ετών συνομιλίες και με την Τουρκία για την οριοθέτηση των θαλασσίων ζωνών τους, πρακτικά έδειχνε ότι αποδέχονταν τα τουρκικά επιχειρήματα ότι το Καστελόριζο δεν έχει επήρεια πέραν των χωρικών υδάτων του και συνεπώς περιοριζόταν σημαντικά το αντικείμενο οριοθέτησης με την Ελλάδα. Τα αρνητικά μηνύματα από την Αίγυπτο συνέχιζαν να έρχονται και όλο το διάστημα της προεδρίας του ισλαμιστή και συμμάχου του Ταγίπ Ερντογαν, του Μοχάμεντ Μορσι αλλά το πραγματικό σοκ επήλθε κατά την επίσκεψη του Αιγύπτιου υπουργού εξωτερικών Καμελ Αμρ στις 13 Ιουνίου, όταν κατά την συνάντηση τουμε τον Δημήτρη Αβραμοπουλο ζήτησε την πραγματοποίηση Τριμερούς συνάντησης Ελλάδας-Αιγύπτου- Τουρκίας για την οριοθέτηση θαλασσίων ζωνών. Με αυτό τον απροκάλυπτο τρόπο το Κάιρο όχι απλώς αποδέχονταν τις αιτιάσεις και διεκδικήσεις της Τουρκίας αλλά εκβιαστικά επεδίωκε να τις επιβάλλει και στην Ελλάδα, σε αντάλλαγμα της οριοθέτησης και των μεταξύ των δυο χωρών, ζωνών. Δεν είναι τυχαίο ότι στις δηλώσεις των δυο υπουργών, Αβραμόπουλου και Αμρ, δεν έγινε καν νύξη για το θέμα των θαλασσίων ζωνών. Μετα την ανατροπή του ισλαμιστή προέδρου της Αιγύπτου Μορσι υπήρξανενδείξεις αλλαγής διάθεσης από τους Αιγυπτίους, καθώς η μεταβατική κυβέρνησηείχε ανάγκη την εξωθεν καλή μαρτυρία και την αποδοχή της από ευρωπαϊκές κυβερνήσεις και έτσι διευκολύνθηκε η επίσκεψη στο Κάιρο τόσο του κύπριου υπουργού Ιωάννη Κασουλιδη όσο και του Ευάγγελου Βενιζέλου κατά τις οποίες εκδηλώθηκε από τους αιγυπτίους η πρόθεση για συνομιλίες σχετικά με τις θαλάσσιες ζώνες. Αν και τις επόμενες ημερες αναμένεται να υπάρξει συνάντηση στο πλαίσιο των πολιτικών διαβουλεύσεων με την Αίγυπτο, ιδιαίτερα σημαντικό για την Αθήνα και απόδειξη της ειλικρίνειας των προθέσεων της αιγυπτιακής κυβέρνησης είναι η σύγκληση και των τεχνικών επιτροπών εμπειρογνωμόνων ώστε να αρθεί το «τεχνικό λάθος» εις βάρος της ελληνικής υφαλοκρηπίδας. 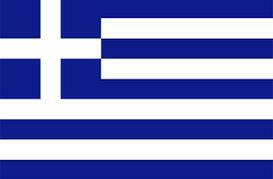 Το 2012 η EGAS, η αιγυπτιακή κρατική εταιρία φυσικού αερίου προχώρησε σε ένα γύρο δανειοδοτήσεων 15 οικοπέδων στην αιγυπτιακή ΑΟΖστην Μεσόγειο και στο Δέλτα του Νείλου. Το Οικόπεδο 12 στο βόρειο τμήμα της περιοχής που προσφέρθηκε στον διαγωνισμό είναι έκτασης 7150 τ.χλμ και διαπιστώθηκε ότι υπερκαλύπτει ένα τμήμα της ελληνικήςυφαλοκρηπίδας σε σχέση με τον υπολογισμό της μέσης γραμμής. Στα ελληνικά διαβήματα, η αιγυπτιακή πλευρά απάντησε ότι επρόκειτο για κάποιο τεχνικό σφάλμακαι δέχθηκε να υπάρξει συνάντηση τεχνικών εμπειρογνωμόνωνώστε να λυθεί το ζήτημα. Από τότε όμως δεν υπήρξε καμία απολύτως ανταπόκριση από την αιγυπτιακή πλευράπαρά τις οχλήσεις της ελληνικήςπρεσβείας. Πάντως μέχρι στιγμής δεν υπάρχουν πληροφορίες για την κατακύρωση του συγκεκριμένου Οικόπεδου σε πετρελαϊκή εταιρία, ενώ ήδη τα Οικόπεδα 9 και 6 έχουν κατακυρωθεί στην ENI και Dana Gas. Δεν είναι τυχαίο πάντως ότι για την περιοχή που έχει γίνει η επικάλυψη της ελληνικής υφαλοκρηπίδας είναι από τις λίγες περιοχές για τις οποίες έχουν γίνει δισδιάστατες σεισμικές έρευνες από την TGS από τον Σεπτέμβριο του 2001 μέχρι τονΑπρίλιο του 2002 με το σκάφος TGS NOPEC. Η ανησυχία της Αθήναςδεν είναι τόσογια την μικρή επικάλυψη της ελληνικής υφαλοκρηπίδαςαπό το αιγυπτιακόΟικόπεδο 12 όσο γιατί η χάραξη του βόρειου ορίου του Οικόπεδου (και η νοητή προέκταση του προς Ανατολάς) ταυτίζεται με την διεκδίκηση της Τουρκίας για χάραξη οριοθέτησης με βάση την μέση γραμμήμεταξύ Αιγύπτου και Τουρκίας και διαγραφή των θαλασσίων ζωνών του Καστελόριζου αλλά και εκείνων της Κρήτης και της Καρπάθου. Έτσι η προφανής απροθυμία της Αιγύπτου να διορθώσει το «τεχνικό σφάλμα» θα μπορούσε να θεωρηθεί ωςαποδοχή εκ μέρους της Αιγύπτου των αιτιάσεων και της επιχειρηματολογίας της Τουρκίας για μη επήρεια του Καστελόριζου και περιορισμένη επήρεια των άλλων ελληνικών νησιών . Με την Αίγυπτο οι διαπραγματεύσεις για τις θαλάσσιες ζώνες δεν ήταν ποτέ εύκολη υπόθεση καθώς είχαν επιβαρυνθεί από τις τουρκικές παρεμβάσεις. Από την αρχή των διαπραγματεύσεων (ο πέμπτος και τελευταίος γύρος έγινε στο Κάιρο τον Ιούνιο του 2009) οι δυο χώρες είχαν συμφωνήσει στην αποδοχήότι η κοινή νομική βάση είναι το Δίκαιο της Θάλασσας και συνεπώς είναι σεβαστές οι αρχές της μέσης γραμμήςγια την οριοθέτηση θαλασσίων ζωνών, και η αναγνώριση του δικαιώματος των νησιών σε θαλάσσιες ζώνες. Η ελληνική πλευρά είχε παρουσιάσει ως εγγυτέρα σημεία από τα οποία θα προσμετρείται η ιση απόσταση το Κουφονησι (Λασιθίου), την Καρπαθο, την βραχονησίδα Χήνα νοτιοανατολικά της Ρόδου και την Στρογγύλη. Η Αιγυπτιακή πλευρά ενώ είχε αποδεχτεί τηνμέση γραμμή εξέφρασε επιφυλάξεις και υιοθετώντας την τουρκική θέση, έθεσε το ερώτημα στις διαπραγματεύσεις, εάν ένα μικρό νησί όπως το Καστελόριζο μπορεί να έχει πλήρη επήρεια, και εάν η μέση γραμμή στην συγκεκριμένη περίπτωση οδηγεί σε δίκαιη λύση όπως επιτάσσει το Δίκαιο της Θάλασσας. Στην διάρκεια των διαπραγματεύσεων και ήδη από τον Φεβρουάριο του 2007,η Ελληνική πλευρά είχε επιδώσει στην Αίγυπτο χάρτη στον οποίο αποτυπώνονταν η προς οριοθέτηση περιοχή,σύμφωνα με την ελληνική θέση, και η περιοχή αυτή άρχιζε από δυτικάστο τριεθνές όριο με την Λιβύη και κατέληγε ανατολικά στο τριεθνές όριο με την Κύπρο, ώστε να περιλαμβάνει και όλη την ζώνη επήρειας του Καστελόριζου. Η Αίγυπτος δυο χρόνια μετα τον τελευταίο γύρο διαπραγματεύσεων παρουσίασε τροποποιημένο τον χάρτη αυτό ώστε να εξαιρείται η περιοχή για την «οποία προέβαλλε αξιώσεις η Τουρκία» και αφορούσε φυσικά ολόκληρη την θαλάσσια ζώνη του Καστελόριζου. Η πρόταση αυτή απορρίφθηκε κατηγορηματικά από την Ελληνική πλευρά..
Έκτατε η Αθήνα αρκετές φορές δια της διπλωματικής οδού εξέφρασε την έντονη διαμαρτυρία της για τις συνομιλίες που είχεεπανειλημμένα η αιγυπτιακή πλευρά με την Τουρκίαγια την οριοθέτηση θαλασσίων ζωνών, καθώςκάτι τέτοιο δεν έχει νομική βάσησυμφώνα με το Δίκαιο της Θάλασσας, δεν λαμβάνει υπόψη του τις θαλάσσιες ζώνες του Καστελόριζου και αποκλείει την οριοθέτηση θαλασσίων ζωνών μεταξύ Ελλάδας και Κύπρου. Σε αυτό το ιδιαίτερα επιβαρυμένο περιβάλλον αναμένεται να ξεκινήσει η ουσιαστική διαβούλευση μεταξύ Ελλάδας και Αιγύπτου για το θέμα των θαλασσίων ζωνών και να αποδειχθεί εμπράκτως η καλή θέληση και οι ειλικρινείς προθέσεις της μεταβατικής αιγυπτιακήςκυβέρνησης να απαλλαγεί από την τουρκική επιρροή στην διαμόρφωση των θέσεων της. Μέσω Καΐρου λύση για την ελληνική ΑΟΖ. -Το Κάιρο στη διάρκεια των συνομιλιών ήδη από το 2007 είχε αποδεχθεί την αρχή της μέσης γραμμής. 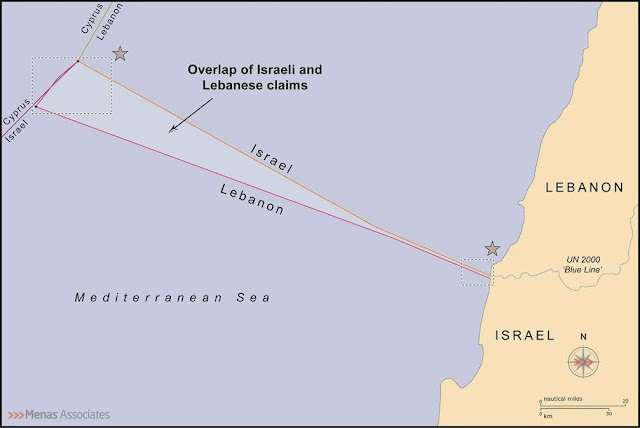 BEIRUT: Discoveries of oil and gas have been made off the coast of Beirut and Mount Lebanon, caretaker Energy Minister Gebran Bassil said in remarks published Saturday. 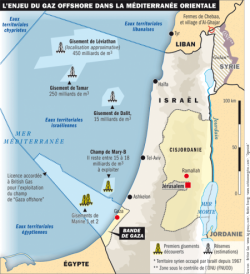 “There is a recent discovery of abundant quantities of oil and gas in the maritime zone off the coasts of Mount Lebanon and Beirut that extend at their northern and southern rims,” he told Al-Akhbar daily. 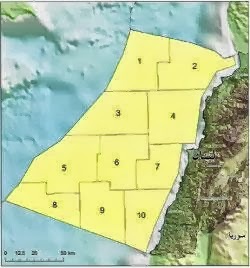 Earlier this year, Lebanon officially launched its first oil and gas licensing round with 46 international energy companies prequalifying to bid for offshore exploration contracts. Bassil has called on the caretaker Cabinet and Parliament to hold extraordinary sessions to approve the oil sector decrees. The decrees, demarcating 10 maritime oil exploration blocks and establishing a revenue-sharing model, require Cabinet approval before oil and gas contracts can be awarded. Plateau continental libanais: Gazprom candidat à la prospection. Αναβλήθηκε ο Αδειοδοτικός Γύρος για την ΑΟΖ του Λιβάνου. Le groupe Gazprom est, avec Rosneft, Lukoil et Novatek, la quatrième compagnie russe à soumissionner à un appel d'offre pour la prospection géologique sur le plateau continental du Liban, a annoncé jeudi le ministre libanais de l'Energie et de l'Eau Gebran Bassil en visite à Moscou. 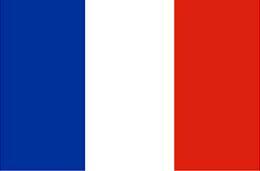 Outre ces sociétés russes, des demandes de participation ont été présentées par 42 entreprises de toutes les régions du monde, dont Total, ExxonMobil, Chevron, Eni, Statoil, Shell, ainsi que par des compagnies japonaises, indiennes et sud-coréennes. Cet appel d'offres a été différé à deux reprises. A l'heure actuelle, tous les préparatifs nécessaires pour lancer la prospection sur le plateau continental libanais sont achevés. Toutefois, les divergences au sein des milieux gouvernementaux du pays entravent la conception des normes législatives réglementant l'appel des investissements étrangers dans le secteur pétrolier. M. Bassil a rencontré jeudi son homologue russe Alexandre Novak. Les deux ministres ont signé un mémorandum prévoyant la création d'un groupe de travail conjoint chargé de superviser la coopération énergétique entre les deux pays. Οι Υπουργοί των τριών χωρών αναμένεται να εκδώσουν κοινή διακήρυξη με την οποία θα δηλώνουν την υποστήριξή τους στο σχέδιο ενεργειακής διασύνδεσης «EuroAsia Interconnector», το οποίο διασυνδέει τα συστήματα ηλεκτρικής ενέργειας της Ελλάδας, της Κύπρου και του Ισραήλ, μεταφορικής ισχύος 2000 MW μέσω της πόντισης σχετικού ηλεκτρικού καλωδίου μεταξύ των τριών χωρών. Σημειώνεται ότι το συγκεκριμένo έργο, πριν λίγες μέρες εντάχθηκε στα «Έργα Κοινού Ενδιαφέροντος» (Projects of Common Interest) της Ευρωπαϊκής Ένωσης έπειτα από συντονισμένες ενέργειες Ελλάδος και Κύπρου. Στο τεμάχιο 12 της κυπριακής ΑΟΖ, έφθασε η εξέδρα της Noble Energy, η οποία θα αναλάβει το έργο της επιβεβαιωτικής γεώτρησης, όπως ανέφερε ο ίδιος ο εκπρόσωπος της εταιρείας στην Κύπρο John Tomich. Σε χαιρετισμό του στα εγκαίνια της μονάδας παραγωγής λάσπης της εταιρείας EDT, στο λιμάνι Λεμεσού, ο κ. Tomich δήλωσε πως η επέκταση των εγκαταστάσεων της EDT, με την οποία συνεργάζεται η Noble για τις ανάγκες των γεωτρήσεων, θα προσφέρει καλύτερη υποστήριξη στην προγραμματισμένη, για τις επόμενες μέρες, επιβεβαιωτική γεώτρηση. Η εξέδρα για την επιβεβαιωτική γεώτρηση, συνέχισε, ρίχνει άγκυρες, ενώ πρόσθεσε ότι η λειτουργία της χερσαίας μονάδας της EDT θεωρείται ένα σημαντικό ορόσημο στην ανάπτυξη της ενεργειακής βιομηχανίας στην Κύπρο. «Αυτή η βιομηχανία χρειάζεται σημαντική ανάπτυξη σε υποδομές και έχει τη δυνατότητα να παρέχει στους Κύπριους εργασία και πολλά έσοδα, για πολλά χρόνια», είπε ο κ.Tomich και συμπλήρωσε «η Noble Energy είναι περήφανη που είναι μέρος ενός λαμπρού ενεργειακού μέλλοντος για την Κύπρο, μαζί με τους καλούς της φίλους και συναδέλφους στην EDT». Από την πλευρά του, ο Γενικός Διευθυντής της EDT, Δαρείος Μελάς, διαβεβαίωσε πως «παρά τις πρόσφατες οικονομικές εξελίξεις που επηρέασαν αρνητικά όλους μας, η εταιρεία μας έχει δεσμευτεί να είναι μέρος της προσπάθειας για την επανεκκίνηση της οικονομίας μας». Παράλληλα, εξέφρασε την υπερηφάνεια του που η εμπειρία και οι δραστηριότητες της εταιρείας στο εξωτερικό έρχονται πλέον για να εξυπηρετήσουν τις ανάγκες της χώρας και τόνισε ότι έχουν γίνει μεγάλες προσπάθειες ώστε να διασφαλιστεί η προσφορά υψηλών προδιαγραφών εγκαταστάσεων και υπηρεσιών, που θα ικανοποιούν τις ανάγκες, τόσο της Noble Energy όσο και της βιομηχανίας γενικότερα. «Η EDT σκοπεύει να είναι μέρος της παρούσας ανάπτυξης στην Κύπρο και σχεδιάζει περαιτέρω επενδύσεις προς το σκοπό αυτό, παρέχοντας θέσεις εργασίας και νέες ευκαιρίες, θέτοντας τις υψηλότερες δυνατές προδιαγραφές», συμπλήρωσε. Υποδεικνύοντας ότι οι προοπτικές της βιομηχανίας και των αποθεμάτων φυσικού αερίου είναι ανεξάντλητες, ο κ. Μελάς εξέφρασε την ελπίδα πως η Κύπρος θα καταστεί ένας από τους βασικούς παίκτες της βιομηχανίας ενέργειας στην περιοχή. Εξάλλου, σε χαιρετισμό του, ο Γενικός Διευθυντής της Αρχής Λιμένων Κύπρου, Γιαννάκης Κόκκινος, ανέφερε πως η λειτουργία των χερσαίων εγκαταστάσεων της “EDT Oil & Gas Shorebase” θα συμβάλουν στην καθιέρωση των λιμανιών και της χώρας, ως κέντρο ποιοτικής και σύγχρονης εξυπηρέτησης και υποστήριξης των θαλάσσιων δραστηριοτήτων έρευνας και εξόρυξης υδρογονανθράκων στην κυπριακή ΑΟΖ, καθώς και στην ευρύτερη περιοχής της Νοτιοανατολικής Μεσογείου. Ο κ. Κόκκινος διαβεβαίωσε πως η ΑΛΚ, ως ιδιοκτήτης και διαχειριστής των λιμενικών υποδομών του τόπου, θα συνεχίσει να στηρίζει τις προσπάθειες της εταιρείας αλλά και άλλων ενδιαφερόμενων εταιρειών και υπέδειξε ότι τέτοιου είδους εγκαταστάσεις, οι οποίες αποδεικνύουν την άψογη συνεργασία που υπάρχει μεταξύ του ιδιωτικού τομέα και της Αρχής, αποτελούν κόσμημα για τα λιμάνια της Κύπρου, προσδίδοντας σημαντικό πλεονέκτημα έναντι άλλων λιμανιών γειτονικών χωρών, όσον αφορά την ανάπτυξη του τομέα παροχής υποστηρικτικών υπηρεσιών προς τις εργασίες έρευνας και εξόρυξης υδρογονανθράκων. Τα εγκαίνια τέλεσε ο Υπουργός Συγκοινωνιών και Έργων Τάσος Μητσόπουλος, ενώ τις εγκαταστάσεις επισκέφθηκε νωρίτερα και ο Υπουργός Εμπορίου, Βιομηχανίας και Τουρισμού, Γιώργος Λακκοτρύπης.